There are millions of websites out there.Many of them are unique, either in small ways or in large ones. But the individual impact of any particular site on the overall Internet is generally negligible, if there's any impact at all. Not so with the fifteen sites here. 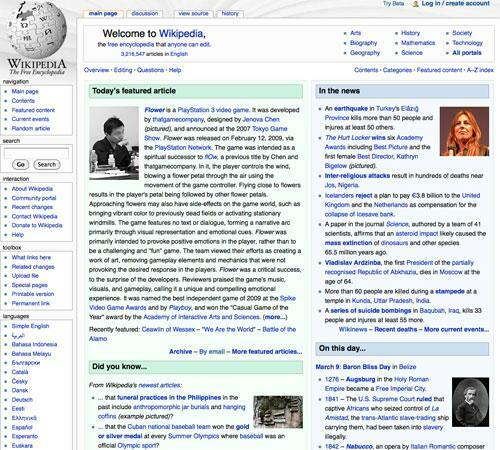 These sites changed the Internet, mostly for good, in substantial ways. Included here is everything from Geocities (which could probably be blamed entirely, either directly or indirectly, for every ugly web design "trend" that's ever been) to Wikipedia (which has made information almost universally accessible) to Google (which has changed or influenced virtually everything online). Changed the way we shop. 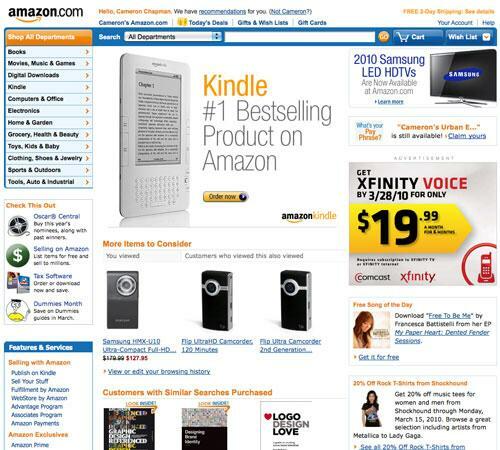 Prior to Amazon.com, online shopping wasn't much different than shopping out of a mail-order catalog, except it wasn't nearly as popular. While Amazon started out selling just books and related items, it has expanded to sell virtually anything you can think of, either directly or through partner sites large and small. Amazon also made free shipping a standard on orders over a certain dollar value, which has impacted the shipping rates and policies of many other online retailers. Changed the way friends connected. While Facebook wasn't the first social network, it has definitely become the most popular and has really changed the way friends interact with one another. Sure, people use FB to talk online, but they're also increasingly using it as a way to plan get-togethers offline. 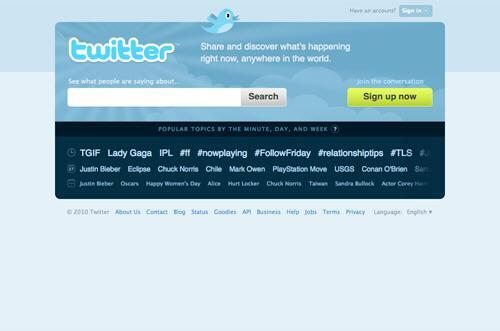 They're using it to follow and interact with their favorite bands, actors, and other personalities. People use it to keep in touch with business contacts, friends, family, and acquaintances. 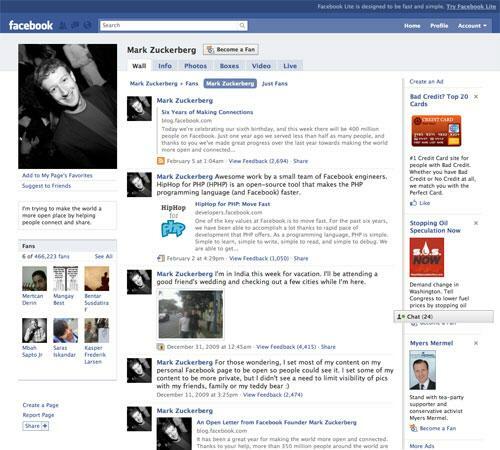 Facebook has made social networking mainstream, across a variety of demographics and virtually worldwide. Changed the way we find new music. Before Pandora, if you wanted to listen to music online, you usually turned to a streaming radio station with pre-programmed content. Sure, you might get lucky and find a station that had mostly music you liked, but maybe it wasn't diverse enough, or it still kept playing that one song you HATED. Pandora changed all that. Now, you can program your own radio station by just entering the name or a song or artist and then giving the thumbs up or down to music played. With a minimal amount of user input, Pandora has gotten surprisingly good at creating playlists that reflect one's musical taste. The bonus is that songs or artists you might not have heard of are often thrown into the mix, based on what you already like. Made minimalist web design cool. 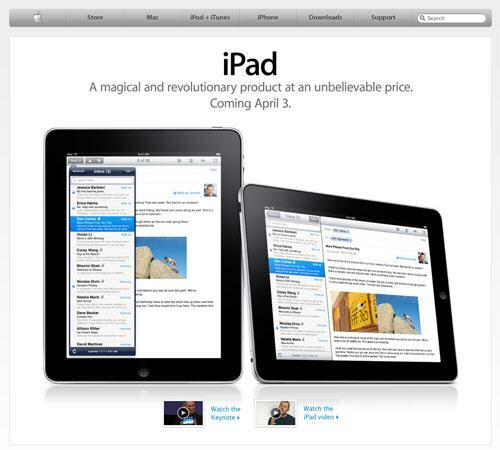 Apple had one of the first corporate websites designed with a minimalist aesthetic. As far back as the late 90s, Apple was starting to show a more minimalist take on web design than many other corporate sites, and by early 2000, they'd adopted the white and gray color scheme and top navigation they still employ today. Changed entertainment. 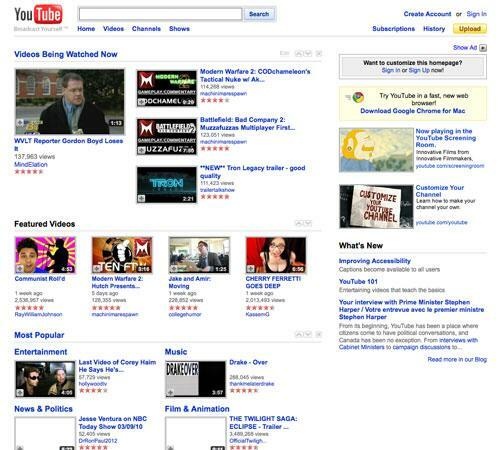 Before YouTube, there weren't many options if you wanted to watch a video online. You could sometimes find a video here or there, but with bandwidth costs, they were few and far between. Website owners just didn't want to pay the extra costs associated with video content. Then YouTube came along and made it free to post any video you wanted (as long as it wasn't copyrighted or over ten minutes long). 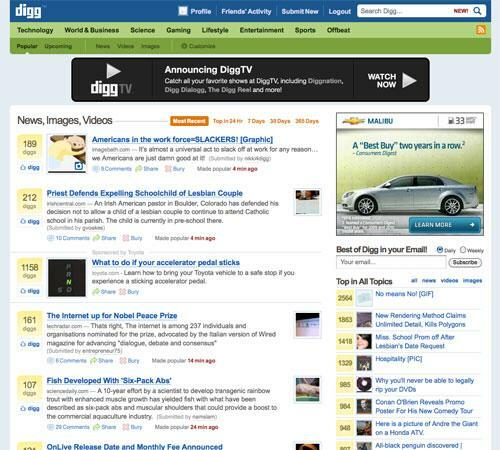 Web users now had a centralized place to go to watch video online. And because of YouTube's pioneering effort, online video is now enjoyed by millions every day. Changed classifieds. 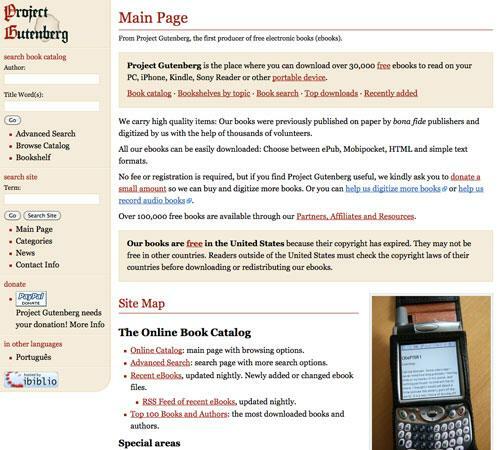 Online classified sites used to be nearly unusable. Between the huge number of spam postings and the fact there were few if any local listings in most areas, there wasn't much point in using them. But then Craigslist caught on and suddenly there was an online classifieds site that rivaled most local newspaper classifieds. 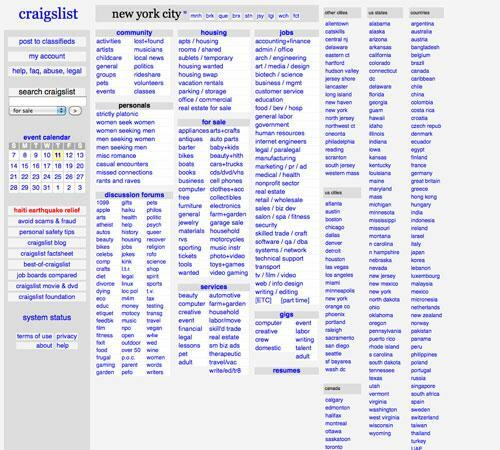 Now you can use Craigslist to find almost anything, no matter where you live. Changed the stature of online news. When the Monica Lewinsky/President Clinton story broke in 1998, it wasn't a mainstream news source that first reported it. 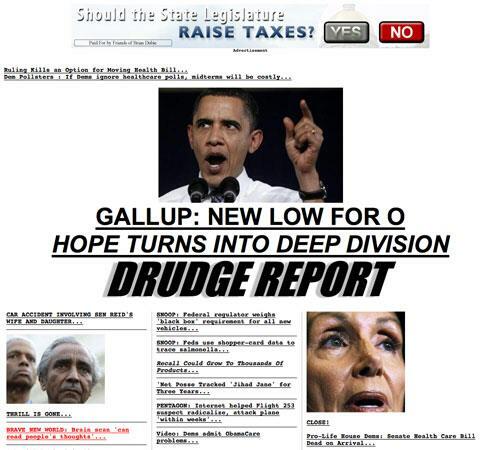 Instead, The Drudge Report held those honors, forever changing the standing of online news sources. Now, online news sources break stories on a regular basis, and are considered by most to be just as reliable as television or print news sources. Made the web more accessible. In the early days of the Internet, the only people online (for the most part) were scientists, academics, and those involved in technology. It wasn't a very exciting place. Then came GeoCities, and suddenly anyone could set up their own webpage for free. 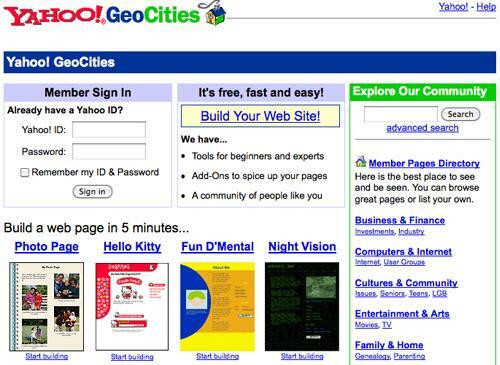 Sure, GeoCities spawned a legion of horrifically ugly websites, but it also got a lot of regular people involved in the Internet for the first time and was likely the first design experience of many early web designers. Hooked millions on blogging. 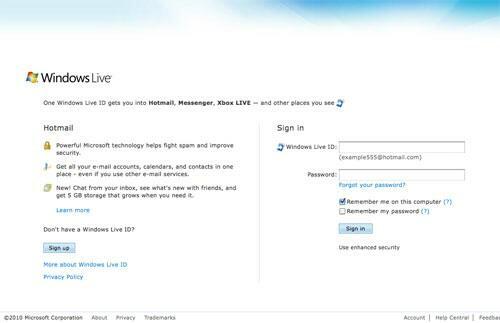 Blogging wasn't invented by LiveJournal, but they were the first site to offer free blogs to their members. 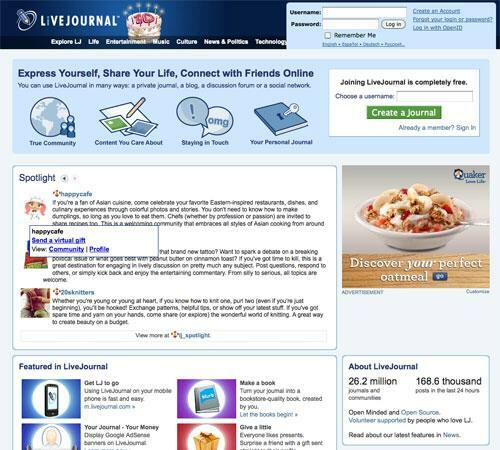 Millions now use LiveJournal, and tens of millions more blog elsewhere, either through other blog hosts or on their own websites. If it weren't for LiveJournal and similar free blogs hosts that came later, blogging might not have caught on as the global phenomenon it has become. Changed everything. This one might seem a bit dramatic, but it really is true. Google has invaded virtually every aspect of the Internet. No matter what you do online, you probably interact with one Google service or another multiple times every day. And most people use at least one Google product or service one a regular basis personally. Whether it's a Blogger blog, a Picasa photo album, a Google search, or even a YouTube video (or any of the dozens of other services Google owns), Google-controlled sites are everywhere.